We all have the innate desire to be seen, to be heard, to be recognized as having value simply because we exist. If this need weren’t so great, social media wouldn’t exist; neither would photography, letter writing or journaling. God created us to interact–yes, even those of us who are card-carrying introverts! Eve was created on the words, “It is not good for man to be alone.” But connection for the sake of connection can be exhausting and even harmful to our well-being: physical, emotional, and spiritual. So authentic connection is key, but with whom and how and when? Let’s start at the beginning, our primary connection must be with God. I know this is hard girls–sleepless nights, early morning children, never ending laundry and dishes, and paperwork…but we must connect with God. You know how I love my Thesaurus, well I looked up synonyms for connect–link, associate, attach, join, unite, plug into–to name a few. So using our synonyms and applying them to our life, how do we connect with God? What does this look like on a daily basis? First thing in the morning, before we even get out of bed, we need to unite ourselves to God; greet God and offer ourselves and our entire day to Him. 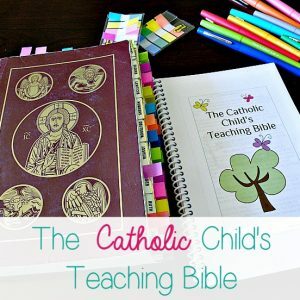 Next, and I’m a huge advocate of this practice, leave a Bible open in a place we will pass or visit often: the kitchen counter, the baby’s changing table, the dinning room table, next to our nursing chair. For mommas who work outside the home, your top desk drawer, or print off some verses from the Bible and tape them up in your cubicle so you see them all day long. Every time we take a minute to turn our hearts and minds back to God, we are uniting ourselves to Him over and over again throughout the day. This practice reminds me of a toddler. You know the age right? The one where they venture off, but come back for a little check in every so often just to make sure you’re still there. Now, when our day starts going off track, that’s a good sign we need to stop and recommit ourselves and our day–and maybe the screaming toddler or the grumpy boss or the annoying co-worker–back to God. When we start feeling restless or agitated ourselves, let’s turn our attention back to God–plug back in to Him. Just like a phone being away from the power source for too long can become depleted, if we’re away from our Power Source for too long the same thing can happen. And now connection with others, I will tell you though, if we lack a strong connection with God, our connections with others will be lacking. Back to the original thoughts at the beginning of this post, this need to connect with others can be a beautiful, healthy, holy, and fruitful connection if desired for the right reasons in the right seasons. I believe connection just to get away from something or someone can lead to a shallow connection at best. But a deep and holy desire for connection, like the mention of a power source above, can be a refreshing boost a tired momma needs. But what if you’re in a season where you’re literally “connected out?” The season where it’s go–go–go all day long–mentally, emotionally, and physically and by the time there’s time to “connect,” you’re too frazzled; what then? Craving connection doesn’t mean you have to go out and about–I just heard all the frazzled introverts take a deep breath. It can be a simple handwritten note, a pretty card in the mail, a good morning text to let a close friend know, “I’m thinking about you.” There are so many ways we can fill that need to connect on an intimate level with our friends. For example, I needed to send out some letters this week. Once my plain, white envelopes were sealed and stamped I realized I wanted the actual envelope to say more than a simple name and address. I wanted these women to know, “I see you and you are important.” I used a couple of my stamps and washi tape from the new Illustrated Faith “Craving Connection” Bible journaling kit to pretty up the envelope. Girls, that is something so small, so simple and yet adds just a touch of personal connection to a friend. I did the same when I sent out our Christmas cards; I used the stamps from the Christmas Bible journaling kit to pretty-up our envelopes. Those little details reconnect those heart strings of friendship that may wane with space and time. 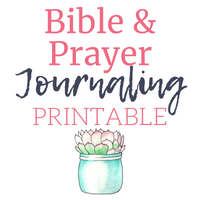 I know, these kits are Bible journaling kits, but I hope to show you, there is so much more you can use these for. I’m all about getting my money’s worth! 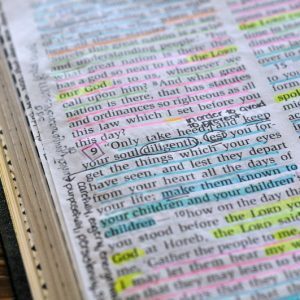 Just like I don’t believe our Bibles should live a quiet life tucked away, I don’t believe our Bible journaling supplies should only be used for Bible journaling. Creative beauty is a good anywhere, Bible or plain white envelope included. Illustrated Faith has a new Bible Journaling kit out. This kit is all about craving connections. 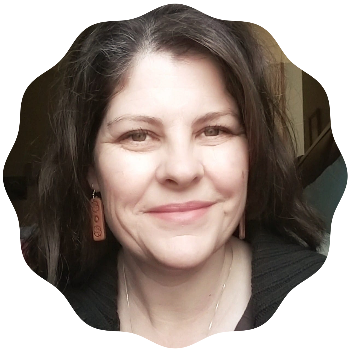 Honestly, it took me a couple of days to write this post–I’m a quiet introvert raising a large, noisy house of extroverts–I’m connected out by mid-morning some days! 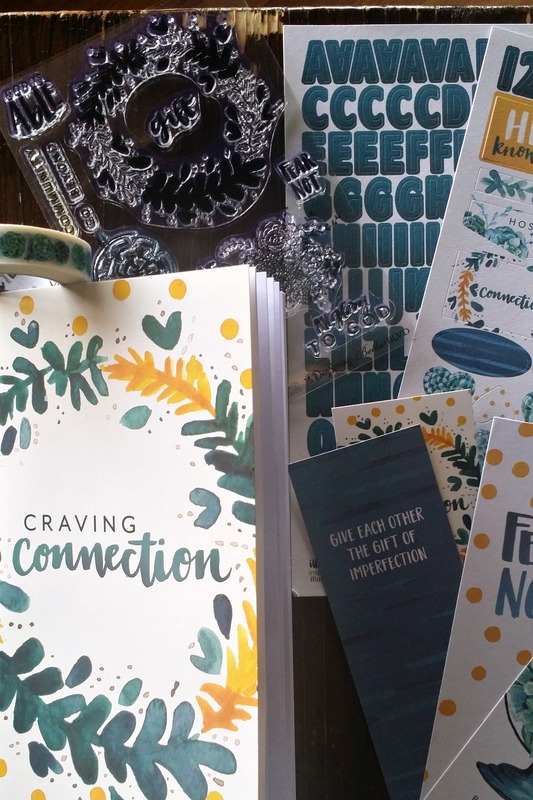 I appreciate Dayspring’s focus on women connecting with women though and the detail in their Bible journaling supplies express how important beauty is in these connections. What a beautiful post! Thank you so much for sharing about Craving Connection with your sweet community. So, so glad that the book and IF kit are connecting with your heart, and that you’re passing on the love to your friends in big and seemingly small ways. Love it!